James A. Farson is a partner with Lindell & Farson, P.A. Mr. Farson received his Bachelor of Science in Business Finance from Miami University in Oxford, Ohio in 1988. 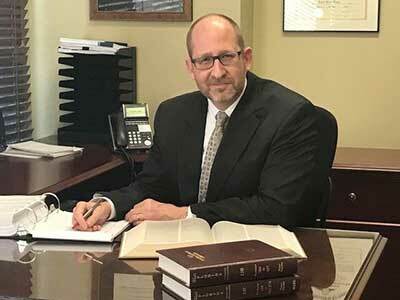 After working briefly in commercial banking, Mr. Farson attended the College of Law at the University of Kentucky and graduated in 1992 with his Juris Doctorate degree. While studying law, Mr. Farson was commissioned an officer in the U.S. Naval Reserve, and became a member of the Navy’s distinguished Judge Advocate General’s Corps. While serving in the Navy, Mr. Farson practiced principally military and civilian criminal law and administrative law. In addition to handling complex criminal cases in military Courts-Martial, Mr. Farson also served as the Navy’s Special Assistant U. S. Attorney for the Middle District of Florida, handling civilian prosecutions in U. S. Federal District Court. He also served as an Assistant Staff Judge Advocate for an Admiral, heading up numerous Congressional investigations throughout the Southeastern United States and handling high level litigation matters. For exemplary service during his tours of duty, Mr. Farson was awarded both the Navy Achievement Medal and Navy Commendation Medal. After leaving the service in 1997, Mr. Farson developed practices in both personal injury and insurance law. He represented large insurance companies and their insureds for a time before becoming a Plaintiff’s civil trial lawyer, representing injured people and handling insurance disputes for both private individuals and medical practices. Mr. Farson has been lead counsel in dozens of jury trials in many different venues: Military Courts-Martial, United States District Court, and various Florida State Courts. In addition to practicing law, James A. Farson is an avid reader of biographies, history, and fiction. He is also a published author of two young adult fiction novels. University of Kentucky College of Law, Lexington, Kentucky, 1992 J.D. Miami University, Oxford, Ohio, 1988 B.S. Gordon Conwell Theological Seminary, 2018 M.A.